Digital technology is creating change at a pace never seen before. Customers now expect speed, ease, choice and a personalised service. It makes customer experience key to success. And it sets merchants a challenge. To survive, and thrive, businesses need to stay agile in everything they do –including how they manage fraud. 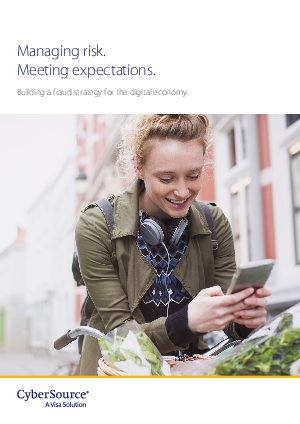 As the people who set the strategy that determines if an order is accepted or not, fraud teams have a pivotal role to play in improving customer experience and reducing risk. This makes fraud management more than a back-office utility. It’s a way to differentiate your business and achieve a competitive advantage. • The changing landscape for businesses. • The key challenges for fraud teams.